People who succeed as Respiratory Therapists enjoy using technology to manage breathing problems as well as working with patients and their families. 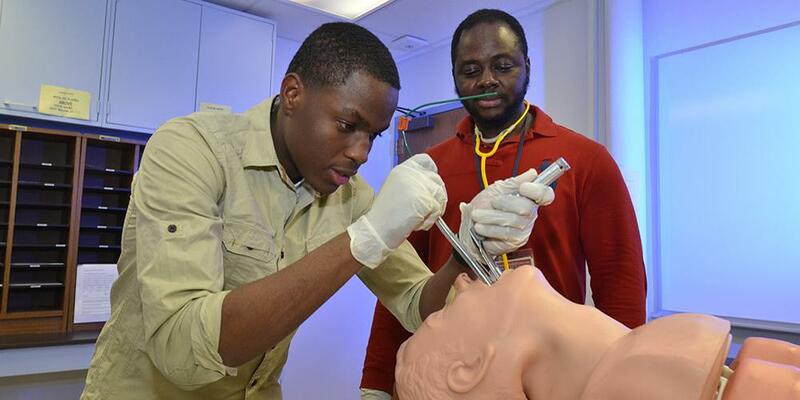 Respiratory therapists help people who have difficulty breathing because of illness or injury including heart failure, chest trauma, asthma, emphysema, cystic fibrosis, bronchitis, SIDS, near drowning, excessive bleeding and shock. The patients of respiratory therapists are found in newborn nurseries, surgical and medical units, emergency rooms, outpatient departments, intensive care units(newborn, pediatric and adult), extended-care facilities, and other alternate care facilities, pulmonary function laboratories, cardiopulmonary exercise stress test laboratories, homes, rehabilitation facilities, and ground as well as helicopter or fixed-wing rescues/transports. Respiratory therapists treat patients by using: ventilators, medical gas, humidity, aerosols, intermittent positive pressure breathing (IPPB), bronchopulmonary drainage and exercises and cardiopulmonary resuscitation (CPR). exercise testing and physiological monitoring. Since any one of these can alter a patient's physiological state, respiratory therapists must be highly skilled in physiology and pathophysiology.